Auckland, June 1886. Ngati Wai chief Paratene Te Manu spends long sessions, over three long days, having his portrait painted by the Bohemian painter Gottfried Lindauer. 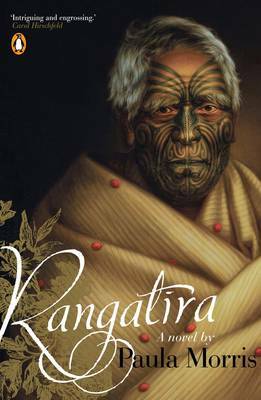 Hearing of Lindauer's planned trip to England reminds him of his own journey there, twenty years earlier, with a party of northern rangatira. As he sits for Lindauer, Paratene retreats deeper and deeper into the past, from the triumphs in London and their meetings with royalty to the disintegration of the visit into poverty, mistrust, and humiliation. Based on a true story. Paula Morris is the author of four works of fiction published by Penguin Group (NZ): the novels Queen of Beauty (2002), Hibiscus Coast (2005), Trendy But Casual (2007), and the short-story collection Forbidden Cities (2008). She was also the editor of The Penguin Book of Contemporary New Zealand Short Stories (2009). Paula has worked in London and New York, first as a publicist and marketing executive in the record business, and later as a branding consultant and advertising copywriter. Since 2003 she's taught creative writing at universities - most recently as a Teaching Fellow at Iowa State University, at Tulane University in New Orleans, and at the University of Stirling in Scotland, where she's currently based.